I have many screwdrivers in my shop. I also have a lot of awls. I have a lot of awls because I grind the tips down on all of my garbage Phillips screwdrivers. The problem is that I don’t really need an awl, certainly not 5 or 10 of them. So I decided I would just start throwing away my $2.00 screwdrivers as they wore out. One day I was thinking that there might be a better way. Do they make a screwdriver that doesn’t round off like it was made of lead after driving a couple of screws? Well I did some research and I came up with this short list of screwdriver sets that I recommend based on the intended use. If you are an electrician or do electrical work around the house then the Wiha 32092 Insulated Screwdriver Set is for you. Even if you don’t do much electrical work, this set is still a fine set to own. The large padded handles are comfortable and allow for significant torque to be applied. I like this set because it has a #3 Phillips. The screwdrivers are rated to 1000 volts AC. The blades are made with their special CRM72 steel that is hardened to around 60 Rockwell C hardness. This is very hard, similar to a quality knife blade. This means that they will have superior wear resistance. These are made in Germany. The Germans make some of the finest steel tooling in the world. Wiha has been making screwdrivers since 1947, so they know what they are doing. If you want a sturdy set of screwdrivers that you can pound on with a hammer and turn with a wrench then the Wera 932/6 Kraftform Screwdriver Set is the set to get. On the other hand, these would not be a good choice for electrical work since the pound-through blade goes all the way through the handle. This set has a #1 and #2 Phillips but not a #3. It does, however, have a nifty rack that you can mount on your workbench or wall. These have integrated hex bolsters that allow you to put a wrench on the screwdriver for more torque. The handle ergonomics are great as well. Wera has been around since 1941 and has a lot of experience in making tools. If you do a lot of auto mechanic work, then the Williams 100P-8MD Screwdriver Set is the set you want to go with. These have a hard handle style that many auto mechanics prefer. The thumb stop helps to apply torque in tight spots. They also have chrome blades, vapor-blasted tips, and hex bolsters for turning with a wrench. This 8 piece set has a #1, #2, and #3 Phillips. It has three slotted tip screwdrivers with the biggest having a 3/8″ wide tip and an overall length of slightly over a foot long. 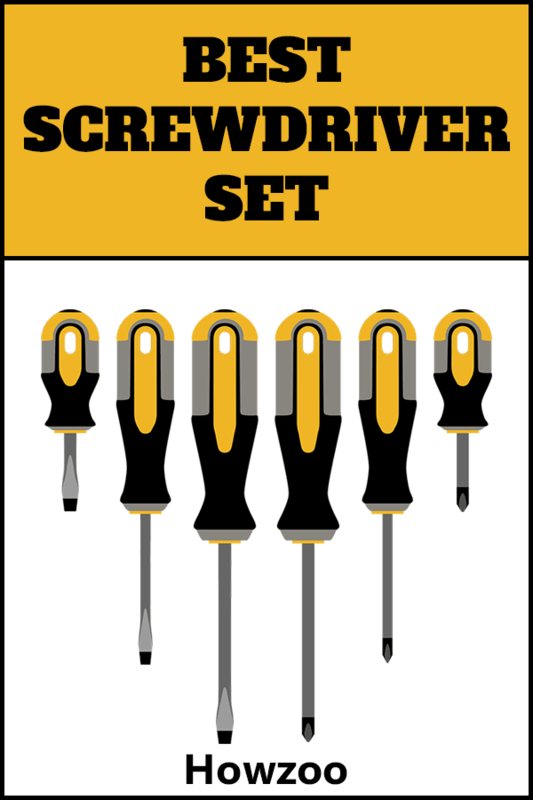 Also included are 2 electrician tip screwdrivers with a narrow 3/16″ tip. These screwdrivers are made in the USA under the Williams brand which is a subsidiary of Snap-on Industrial. J.H. Williams and Co. was founded in Brooklyn,NY in 1884. The company was acquired by Snap-on in 1993. In 2011, the brand became part of Snap-on Industrial Brands. If you do a lot of electrical work, go with the Wiha insulated set. If you often hit screwdrivers with a hammer, go with the Wera set. If you do a lot of mechanic work, go with the Williams set. Honestly, I think you could justify buying all three. Just don’t tell the wife. I don’t know if she will think it is justified. Which is the best brand for a screwdriver set under $40? My personal preference would be Wiha.